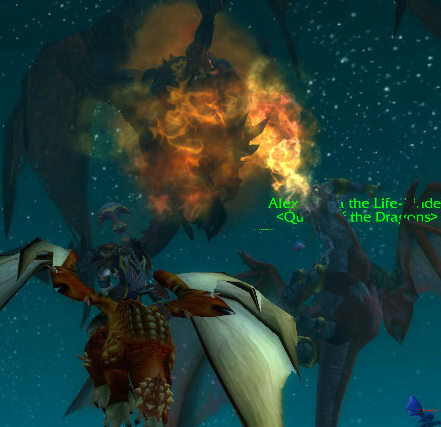 Azeroth (and Outland) is a very diverse place. Within its realms lie many different people, races, classes, professions, and landscapes. The world itself is amazing, sometimes making me want to break into song. This article will focus one just one part, which will be the races that make up the world, and those which are my favourites. 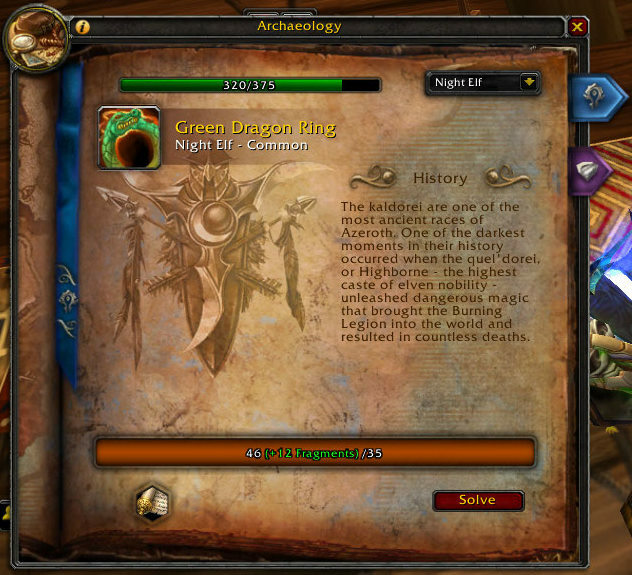 There are many races in World of Warcraft, some of which are playable and many of which are not. Some can be seen as virtuous, evil, neutral, or just plain weird. Among the playable races, people sometimes think that the Alliance is the “good” side, and the Horde are the “villains”. One thing I like about the game is that within each race lies examples of both sides of the spectrum. Whereas some races could have fewer examples, and like in real life, we can’t paint a whole race by a few bad (or good) apples. The Tauren have always been a favourite race of mine, since I played Warcraft III. There was something about them that always appealed to me, and to this day I’m not entirely sure what. In part, it’s because out of the Horde, they’re the race that is the most on the “good” side. Plus, they’re cows that can carry huge stumps of wood and use them as weapons. How is that not awesome? This race has a splinter group which is finally being expanded upon in Cataclysm, the Grimtotem. I never understood why Magatha was offered a spot in Thunder Bluff when she never agreed with Cairne Bloodhoof and wanted to see him dead. Unfortunately, she was ultimately successful in her quest to kill the Tauren leader, and almost succeeded in a coup of the capital city. 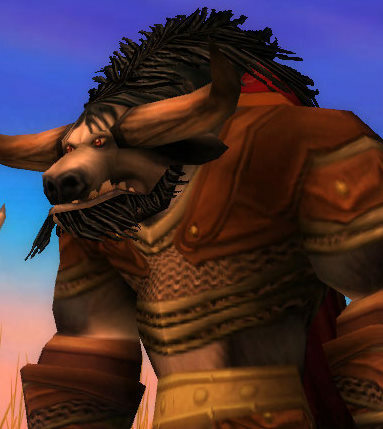 Thankfully, Cairne’s son Baine is as much a warrior and level-headed as his father, and was able to get support to drive them out and retake his rightful position as the new leader of the Tauren. I have not yet played through the quests in Thousand Needles, but my wife tells me that there’s some not-so-subtle hints that we’ll be seeing Magatha another time. Hopefully, it will be to make sure she doesn’t pose any threat to this peaceful nation ever again. The runner-up race for the Horde are the Orcs. If you haven’t yet, read through “Rise of the Horde” by Christie Golden, and you’ll get a great history lesson of how the race has changed over time. I highly recommend this book. There’s something about the blue-skinned space goats that pique my interest. Their story is a very long one which started with the corruption of some of the original Eredar leaders of Archimonde and Kil’jaeden, and ended with the Draenei we know today being the splinter group from the original people. A majority of the Eredar are now used by the Burning Legion as their troops, helping Sargeras accomplish his goals of wiping out life in the universe. On Azeroth (and Outland) there aren’t any specific splinter groups off of the landed Draenei, just a few places here and there that have Draenei among their ranks. The main part where they’re evident is wherever there are groups of the Burning Legion, there’s bound to be an Eredar hanging out. Or to spice things up, there’s Prince Malchezaar hanging out at the top of Karazhan. 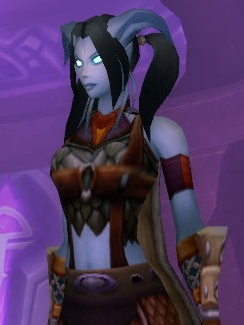 For more history regarding the Draenei, once again the book “Rise of the Horde” by Christie Golden covers parts of it. Dragons are awesome. 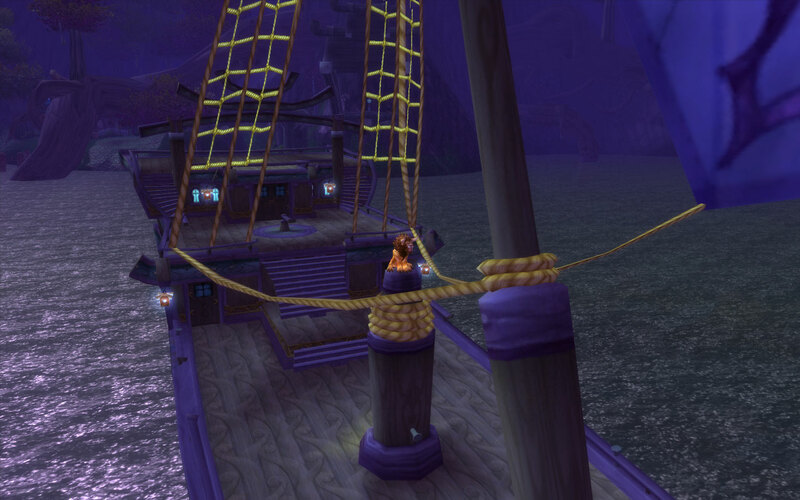 In World of Warcraft, they’ve become even more awesome than most other series or games that are out there. Not only are they dragons, but the idea of being separated into the aspects and each aspect having dominion over a certain part of the world is a great idea. Many series have dragons as being the “bad guys”, with some certain ones breaking away from that – which is what I like. They’re freaking DRAGONS. Runners-up for the NPC races are a tie for me: the Naga – again, I really like their history and what happened to them after the Sundering; and the Murlocs – say what you will, they’re still entertaining. I truly could go on about the different races and what I like and dislike about each of them. Thankfully, Blizzard gives us many options and stories to choose from. It will be interesting to see what future expansions hold.